The new flagship of the ever popular and venerated X Series, the X700 Duality combines boutique quality materials, the highest quality hardware components, Seymour Duncan pickups, visual pizazz and world class craftsmanship to provide an instrument that not only looks chic and daring but plays exceptionally fast and is versatile enough to cover virtually any musical genre and style. The Swamp Ash body provides a warm and full-bodied tone while the Flame Maple top not only adds beauty but tightens up the overall sound with strong high-midrange and brilliance. The strikingly figured Flame Maple top and Swamp Ash complement each other perfectly to produce a warm yet punchy high-midrange sound that will cut through the mix with authority. 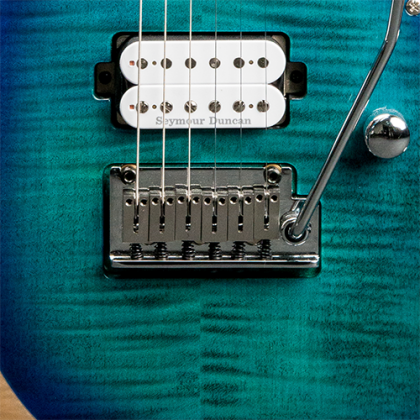 The Seymour Duncan TB4 bridge humbucker and SH2N neck humbucker combined with a special 5-way wiring present all of the great modern and classic humbucker tones and two exceptional single-coil sounds for unmatched versatility with a clean and simple control layout. 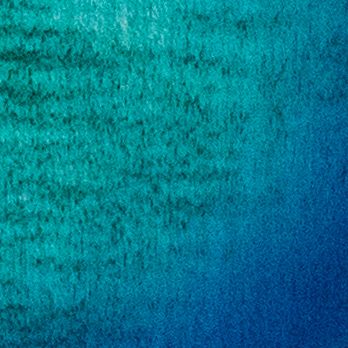 From over-the-top metal and shred to jazzy warmth and sparkling clean, the sounds are always musical with clarity as well as depth. 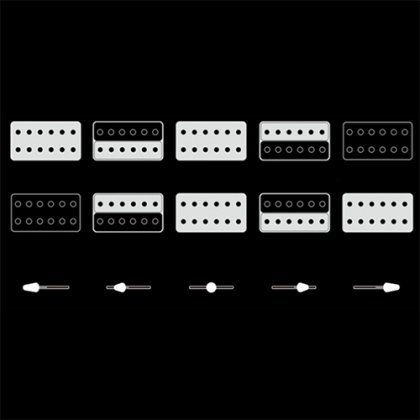 The simple yet versatile control layout provides all the sounds the player needs while allowing the player to focus on playing and making music. 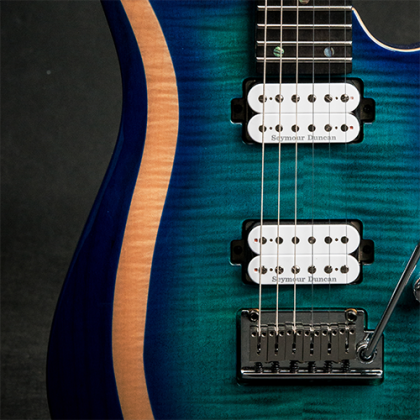 The 5-way switch is custom-wired to provide glassy and sparkling single-coil sounds in the 2nd and 4th positions as well as the full-bodied and powerful humbucker sounds in the bridge, middle and neck positions. 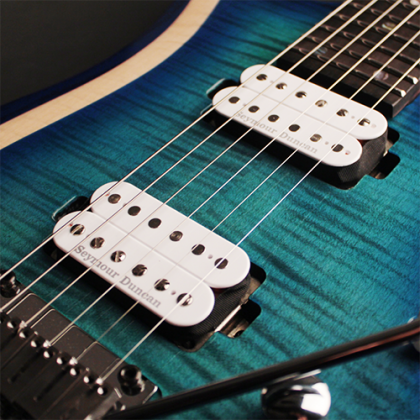 The hardware also has a significant influence on the acoustic characteristics of the guitar and the X700 Duality features the Cort CFA-III Tremolo System with metal injection molding manufacturing technique with stainless steel used on the saddle, bridge plate and the block for a big, solid, bold and articulate sound as well as enhanced sustain. 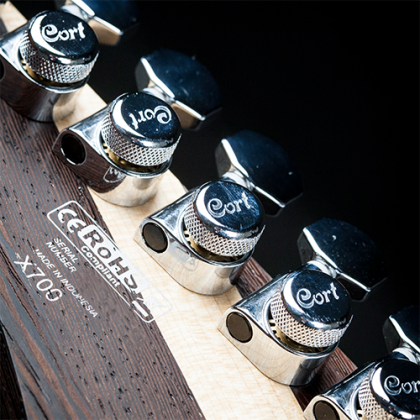 The staggered locking tuners provide excellent tuning stability as well as ease of tuning and string changes. A simple, elegant and efficient way of tuning, these tuners will allow you to focus on your playing. 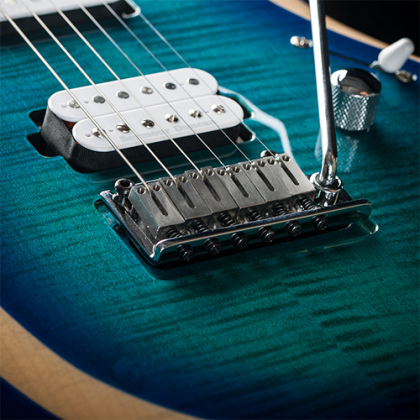 The recessed tremolo bridge allows for pull-ups to raise the pitch as well as pushing down for lowering the pitch, providing further tremolo versatility. 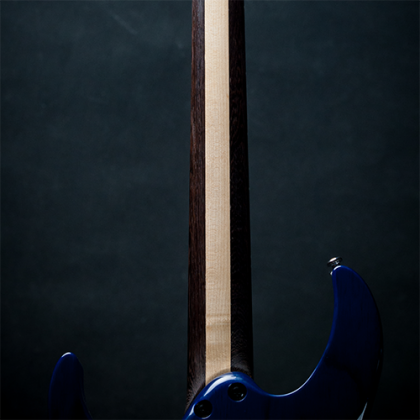 The strength and brightness of Maple is ideally balanced with the warm midrange of Panga Panga, resulting in superb playability, feel and tonal definition. 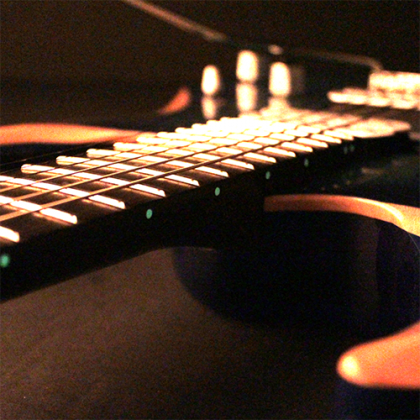 The Luminlay side dot position marks make it easy for players to see the fretboard position markers when performing on dark stages. 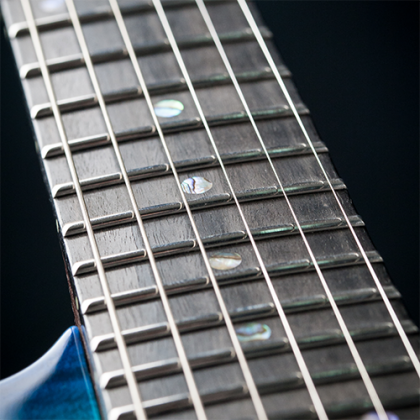 Stainless steel frets boast excellent resistance to corrosion. 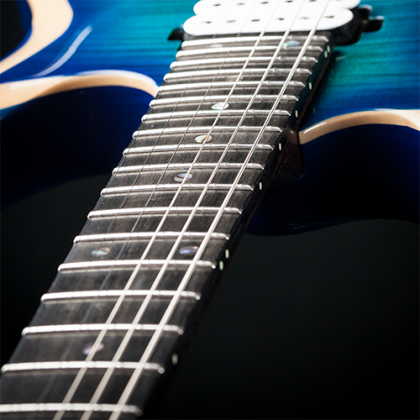 The wide and tall fret-type offers a quick response, good articulation when playing chords and a clear tone when playing single notes. The locking machine heads provide superb tuning stability by eliminating string slippage at the posts while facilitating quick string changes.